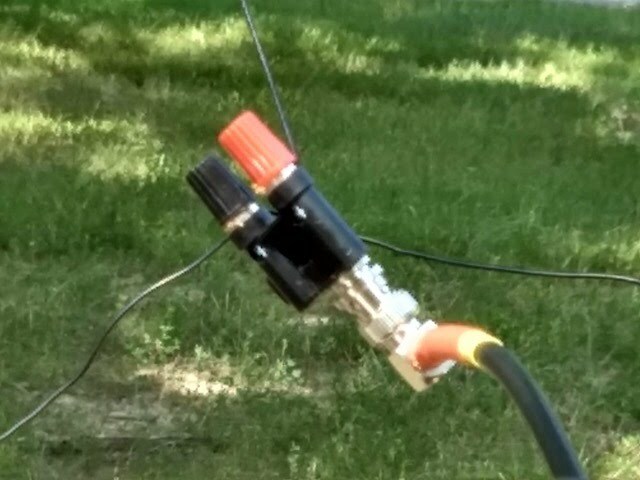 Tuned wire vertical, 20 meters, with two radials. 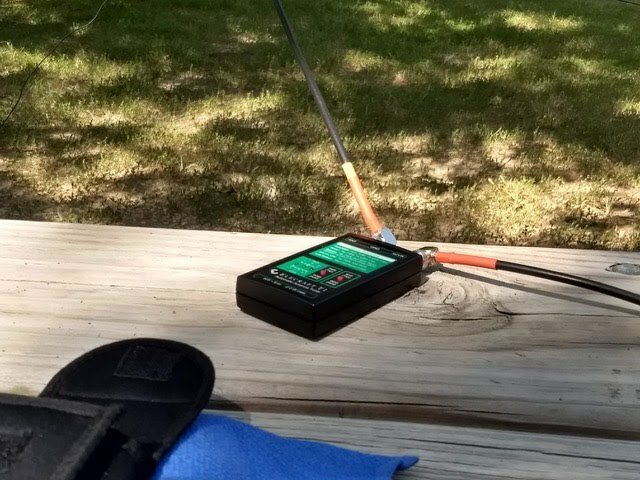 I used a tuner in line because the QCX radio is not very tolerant of SWR mismatch. 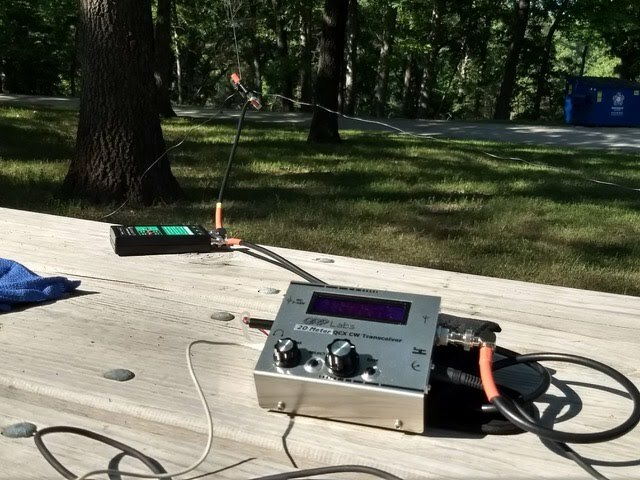 QCX in operation. 11.2V Li-ion battery. Kept it simple with a straight key. 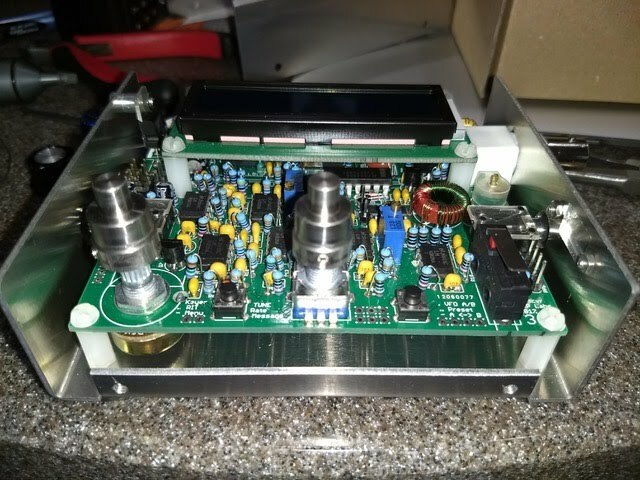 Lower portion of the QCX case. Radio is a perfect fit! 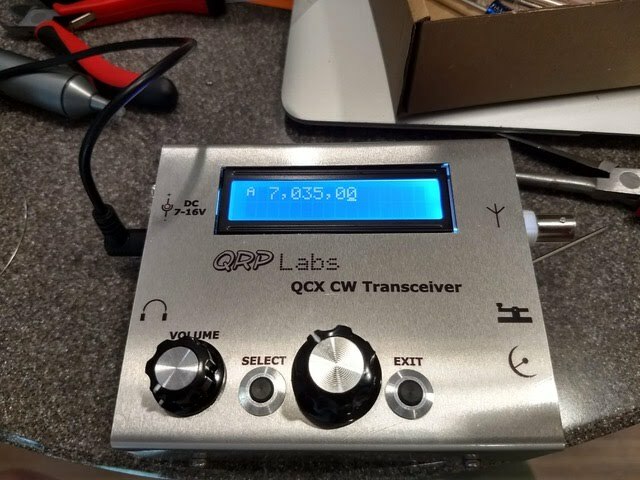 The “other” QCX, 40 meter version. The case does look spiffy.